Your story is bigger than “we slayed it last year and are on track to do it again,” which is spectacular! But don’t forget to tell the rest of the story. The dynamics of your business are complex and intriguing. Vision, market leadership, innovation, leadership, and more make it that much more exciting. We can all imagine ourselves living in a beautiful model home. Why not stage your business to help future owners better see what they will get! Line ’em up so that financial and strategic buyers will take a closer look. Do it well, and add an X or two to the final price so you can work again only if you want to. Velocity is performance. 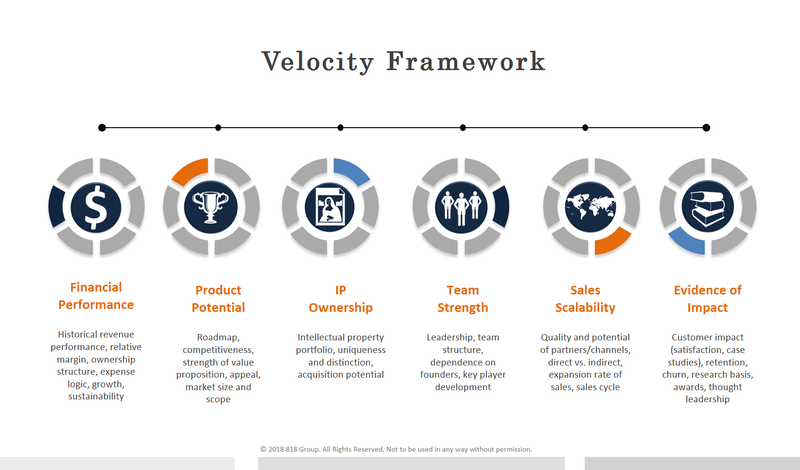 Velocity derives from an aligned, deliberate focus on six dimensions of growth—only one of which is financial performance. The more unified and aligned the sense of velocity, the stronger the overall performance story of the organization. They say the best time to plant a tree is 20 years ago. The second best time is today. Most FutureExits take 3-5 years to pull together well—some is as little as 18 months. You’re not ready unless you’re ready.